In a large saucepan, bring 4 cups water to a boil over high heat. Stir in the rice, cover tightly, reduce the heat to low, and cook for 30 minutes. 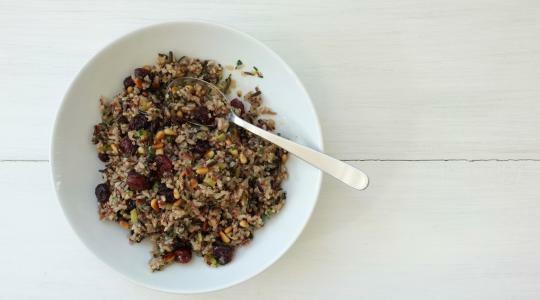 Stir the quinoa into the rice, cover tightly, and cook 15 minutes more. Remove from the heat, fluff with a fork, and let stand, covered, for 5 minutes. Meanwhile, in a large skillet, heat the oil over medium-high heat. 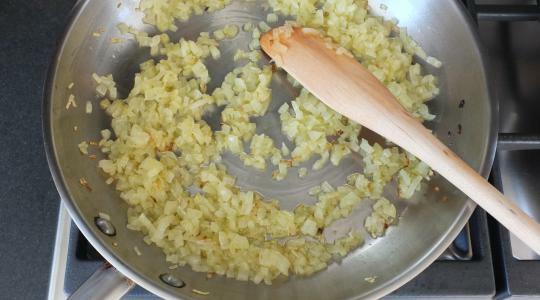 Add the onion and cook, stirring occasionally, until softened, about 5 minutes. 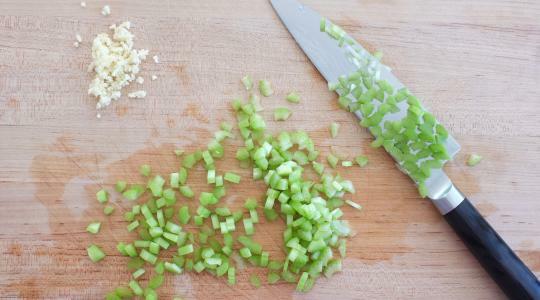 Add the celery, garlic, and ¼ teaspoon of the salt and cook, stirring often, until tender, 4 to 5 minutes. Add the wine and simmer until most of it cooks away, 1 to 2 minutes. 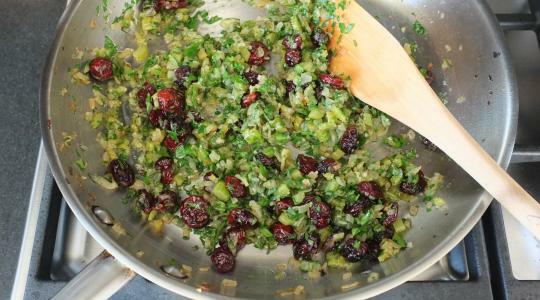 Stir in the dried cranberries, parsley, and sage. Pour the mixture into a large mixing bowl. 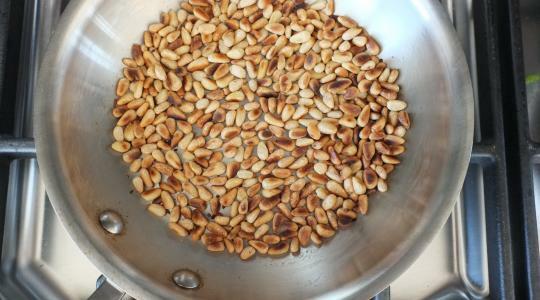 In a small skillet, toast the pine nuts over medium heat until golden brown, 3 to 5 minutes. To the bowl, add the rice mixture, pine nuts, pepper, and the remaining 1 teaspoon salt. Stir well to combine. You can serve it immediately. Or stuff your turkey with it. Or you can prepare it ahead of time up to this point and continue with the next step. Heat the oven (with the oven rack in the middle) to 375°F. Oil a medium baking dish. Spoon the stuffing into the dish and pour the broth over the top to moisten. Cover with foil and bake until heated through, about 20 minutes.